After completing his master’s degree in political science at University of Udaipur, Ganesh Purohit founded JJVS in 1985. As the director of JJVS, he works in liaisoning, administration, planning, and other public activities. Dr. Ram Kishor Deshwal once ran his own private Ayurvedic clinic before joining Jagran. He has been efficiently treating ailments through Ayurveda, strongly promotes the Guni knowledge and co-ordinates their activities with Jagran. Pankaj Paliwal studied commerce, arts, and law. He coordinates projects for Jagran and facilitates liasoning between the GOs and the NGOs. He is looking for interns who can bring creative ideas to share with the Jagran staff and are willing to learn about the culture and the traditional medicine. Nikita Bhanawat is our Administration Officer who joined us in December 2015 and has been a great asset and a productive member to our team. She has graduated with a Bachelor of Management from B.N.P.G College and has a MBA in Human Resources. Ramji Gamti is a founder member with Ganesh ji, in hope to build an organization that focuses on local issues in his own community. He focuses on improving agriculture and living conditions of local farmers, and Gunis. Neetu Paliwal Purohit joined Jagran in November 2015 as our accounting assistant. She has a Bachelor’s Degree in Commerce and a Master’s Degree in Accounts and Business. Bhagwati Lal Purohit has been working to plan and implement informal education programs for Jagran since 1991. He currently works with SHGs and provides program support for various Jagran initiatives. Kanti Lal Bhoi joined Jagran 2 years ago working within the accounts department. His wealth of knowledge and experience has been a great addition to our accounts team. Mukesh Thawra Meena has been with Jagran since 2013 and is responsible for the upkeep of the Bedla campus and is an excellent cook for the volunteers and interns. Bhawani Singh Sisodia is one of our Master Trainer Gunis as well as Jagrans driver. He helps with training programs for the Gunis and has been with Jagran for 19 years. Bhanwar Lal Meena has been with Jagran since 1994 and is the coordinator for our Bhutiya site as well as Treasurer on Jagran’s Board of Trustees. 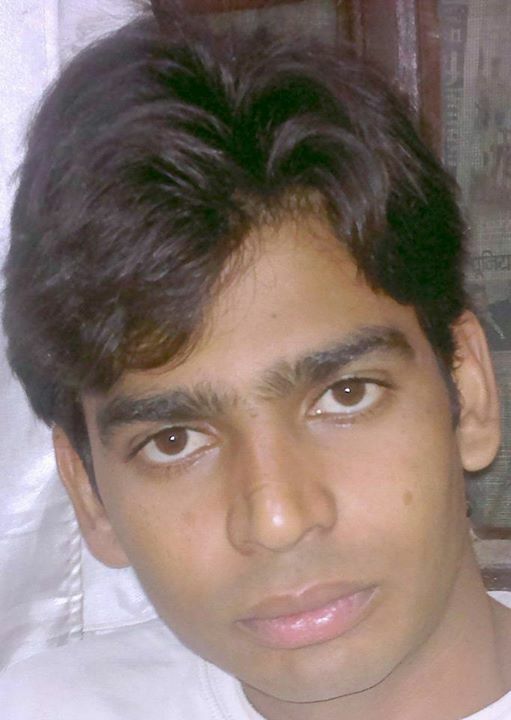 Chandra Prakash Patel is currently finishing his Ayurveda Medical Degree in Jodhpur. He joined Jagran last year and we are looking forward to having him finish his study. Rai Singh Dulawat is the project coordinator for our Vali field office. 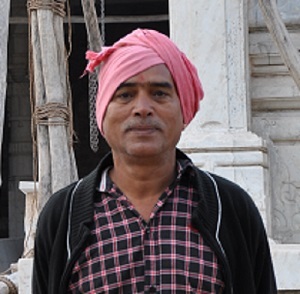 His specialises in Agriculture and Livestock management and has been with Jagran for 17 years. Roop Lal Patel is based in the Vali office as the Office Assistant. He joined Jagran in 1993 and became the official chef in 2000. Karuna Pandya is a Field Coordinator for the Vali office organising Self Help Groups in Women’s Empowerment and Development programs. 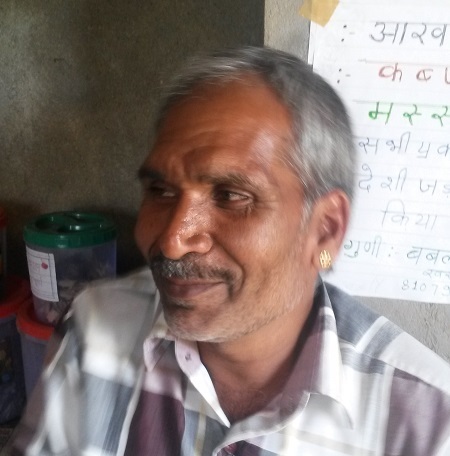 Kailash Gurjar currently focuses on microfinance and works with Self Help Groups. He is the Field Coordinator based in the Jaisamand Field Office. 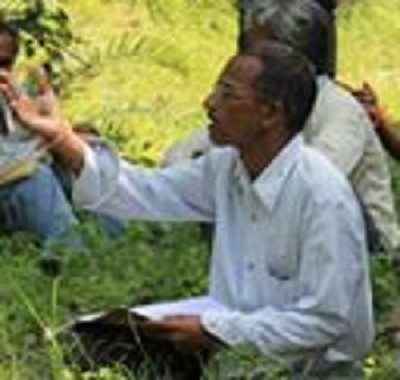 Raju Meena works as the Vali Field Coordinator working with villages and the Forest Rights Act. He has been working with Jagran for the past 2 years.